We’re welcoming you into the new year with some great changes, and there’s plenty more to come! Here’s what’s new in Vend this month. User filtering (coming soon!) — it’ll soon be possible to find users faster on the User screen, or the user switching window on the new Sell screen with an added search bar. Switching an outlet or register (coming soon!) — instead of resetting your data, you’ll soon be able to switch an outlet or register in a simple click from the navigation bar. 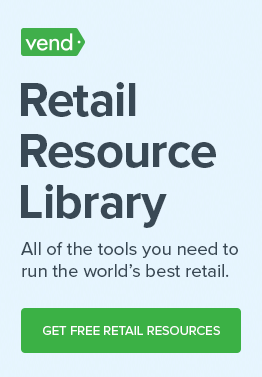 Totals in register closures (coming soon!) — soon, the sum of all payments will be visible as totals at the bottom of the register closure screen. SKUs now visible in product searches — when searching for your products in the new Sell screen, you’ll now be able to see the SKU of a product in the search bar. Quick key folder behaviors — it’s now possible to change the behavior of a quick key folder when creating a new quick key layout. You can choose whether a quick key folder stays open or closed after a sale. Changes to adding and editing a customer — you can now enter and view additional customer details including physical address, date of birth, and your own customized fields. Support for new Star printers — we now support over 10 Star printers, including their latest bluetooth and wireless printers. Support for Star Cloud Services — you can now connect Vend with Star Cloud Services to get the most of your Star printer by utilizing services like digital receipts, customer engagement, and more. Gift card expiry display — if you have gift card expiry enabled for your gift cards, card expiry dates will now appear in-app. Bug fixes — we’ve swatted away a ton of bugs too, to make selling with Vend even smoother! Xero improvements — the invoice date recorded on stock orders sent to Xero will now be be the date the order was fully received in Vend, rather than the date the order was created. This change will apply to all new stock orders, but won’t affect existing ones. 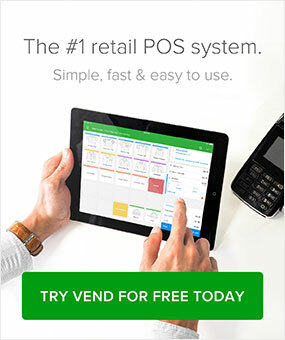 Stay on top of your inventory with Vend U — is your new year’s resolution to become an inventory wizard? Well, you’re in luck! Vend U has got you covered with all things inventory in Vend, from stock ordering to inventory counts and everything in between. Watch today!